Did you know that rheumatoid arthritis affects over 1.3 million Americans? 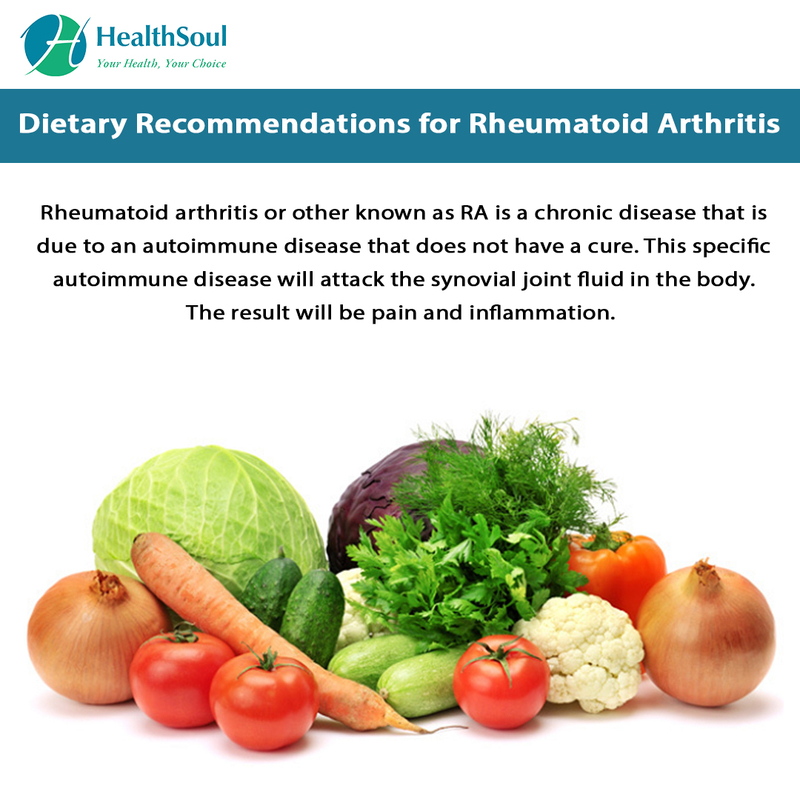 Rheumatoid arthritis or other known as RA is a chronic disease that is due to an autoimmune disease that does not have a cure. This specific autoimmune disease will attack the synovial joint fluid in the body. The result will be pain and inflammation. There are a couple of different factors that play a role in your risk of developing RA. While genetics do play a part, environmental, hormonal, and lifestyle factors are also important to take into account. Hormonal imbalance can lead to RA as can smoking. While there are some risk factors you may not be able to control, such as genetics, there are some steps you can take to improve your symptoms of RA. In addition to not smoking, and working to manage your day to day stress, there are some dietary changes you can make to better manage your symptoms. Anti-inflammatory Spices: Anti-inflammatory spices like ginger and turmeric have been found to combat inflammation in the body which is a key component of getting RA symptoms under control. Try adding these spices to your dishes or make a homemade juice with fresh ginger and turmeric. Pomegranates: This delicious fruit makes another great addition to an anti-inflammatory diet. A study found that pomegranate extract could help reduce symptoms of arthritis and joint inflammation. Try adding this fruit to your diet to see what it can do for your RA symptoms. Green Tea: You may want to consider swapping your morning cup of coffee for green tea as this powerful beverage contains impressive anti-inflammatory benefits. ECGC is a catechin found in green tea which has been found to hold these anti-inflammatory health benefits. Wild-Caught Fatty Fish: Wild-caught fatty fish like salmon is rich in omega-3 fatty acids which are also anti-inflammatory and may be able to help reduce the symptoms of RA. You can choose to enjoy wild-caught fatty fish like salmon or sardines twice a week, or if you’re not a big fish eater, you can supplement with a high-quality fish oil. While there are foods that can help reduce symptoms of RA, there are also some foods that can make symptoms worse. These are foods that are commonly found in the Standard American Diet, so reading food labels is going to be essential to avoiding these inflammatory foods. 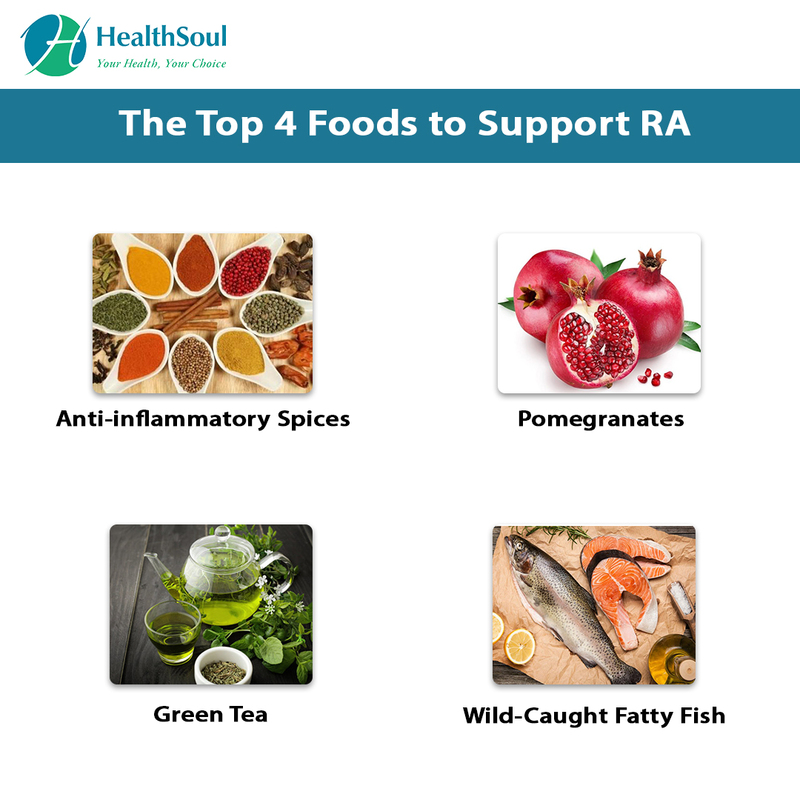 While RA can certainly interfere with quality of life, there are many dietary steps you can take to improve your symptoms. Strive to enjoy as many anti-inflammatory foods as you can each day while avoiding the processed foods in the Standard American Diet. You would be shocked at what small dietary changes can do for your pain and how much better you feel physically, the healthier you eat. 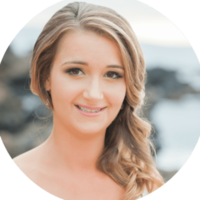 Rebecca Jacobs N.C is a Certified Holistic Nutrition Consultant, specializing in digestive and women's health. She doesn't believe in dieting but rather making lifestyle changes, and believes that healthy eating must be delicious. Rebecca is also a recipe developer and creates healthier alternatives to traditionally unhealthy foods.